Another organisation post today, and this wasn't planned but it was something I have been meaning to do for weeks now and I finally took the time to take the plunge and clear out my wardrobe so that I can get out all my autumn stuff and put majority of my summer stuff away. So, my room started out looking like this and it looked like a mess with everything everywhere and no room to move about. But, in an actual sense it looks a lot better than it seems my clothes is kind of in piles of clothes that needs to go away and things on hangers but then it failed and now its a big mess. 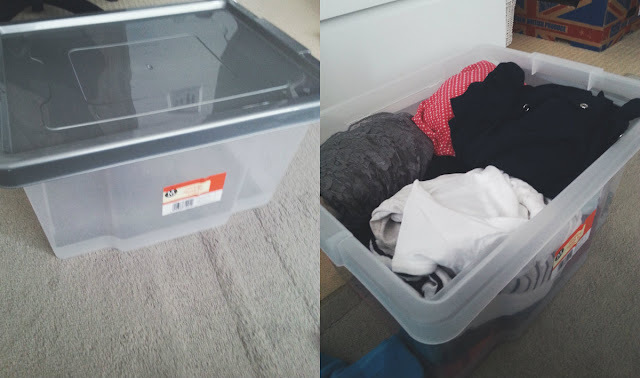 The first thing I did was put all of my summer clothes into this storage box from Morrisons so that they are all neatly put away and out of my site for the next 6 months. This box includes vests, dresses and strappy t-shirt things. Then the plan is to move this into my cupboard in six months and the jumpers in the box! Genius I know. 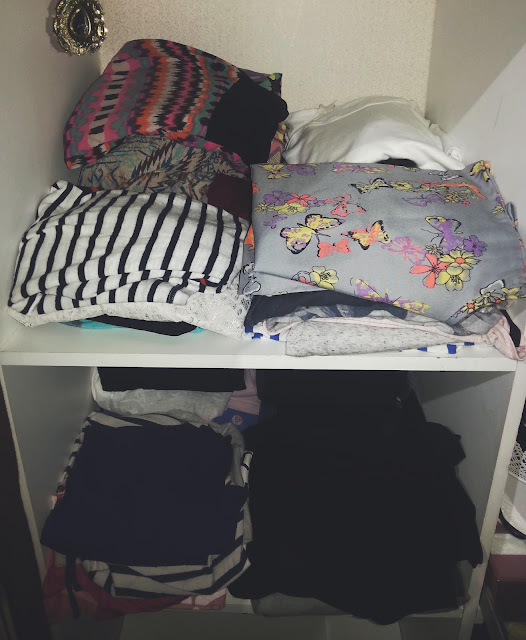 Majority of my clothes are actually folded up into different piles and on two shelves, the top one has all my nice tops/everyday tops. 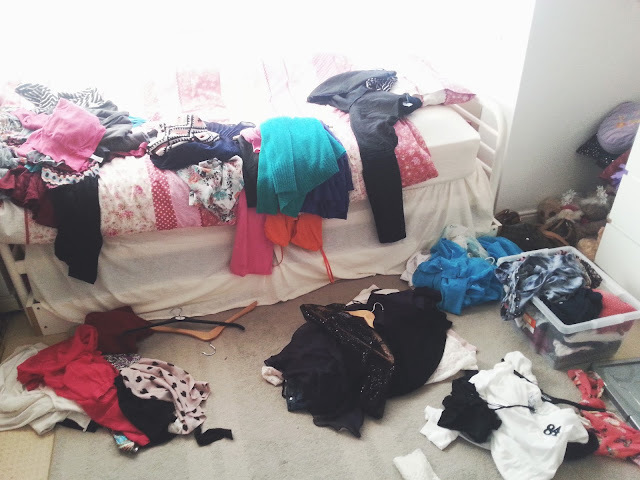 The back two piles are the things I would wear with leggings and then the front two with jeans. The bottom shelf consists of pj's, and lounge-wear which I have a lot of because I prefer my jogging bottoms rather than my jeans! 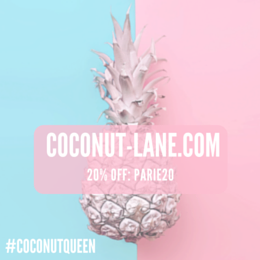 It also has a whole pile of leggings because every girl needs them! Then on to the hanging bit of my wardrobe, there are a few things that have to stay in there. 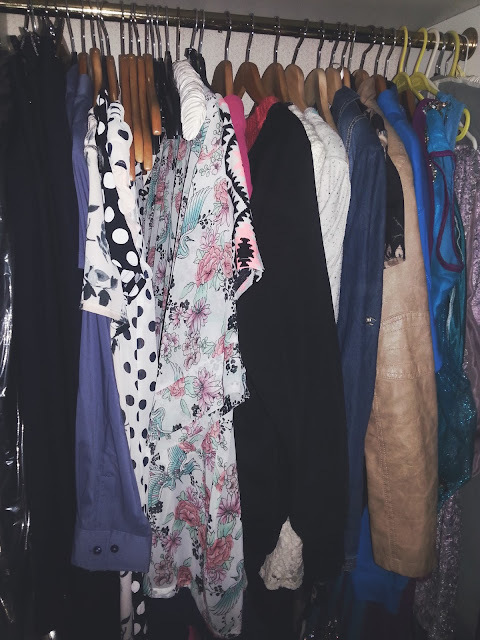 On the left hand side is all my formal wear so that its easier to reach and get to and then the right hand side is my leavers hoodie and then Indian suits which don't have a home anywhere else. 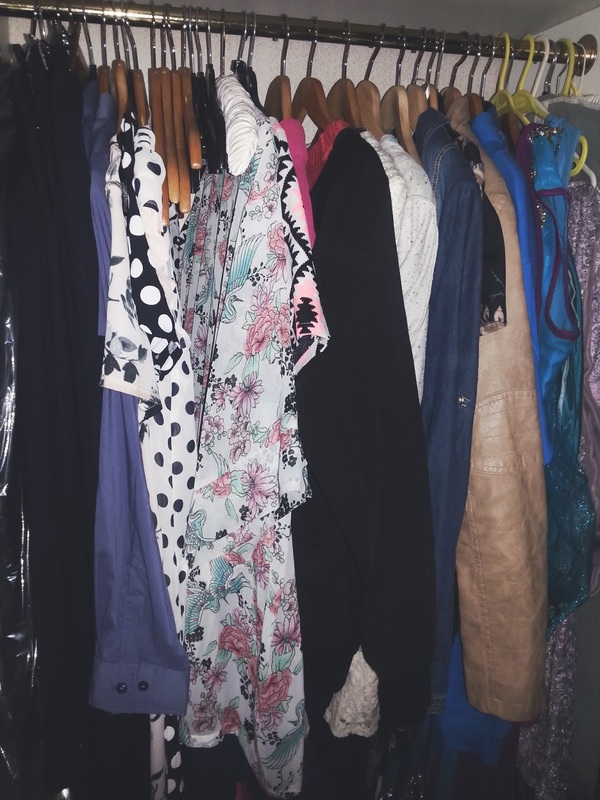 Then in the middle I have my kimono, dresses that I can still wear in the winter with tights and then followed my jumpers. And then more jumpers, I own a lot of winter clothing but its my favourite time of year by far. I then have my leather jackets in there along with cardigans. And that's it, my very small but very organised wardrobe! 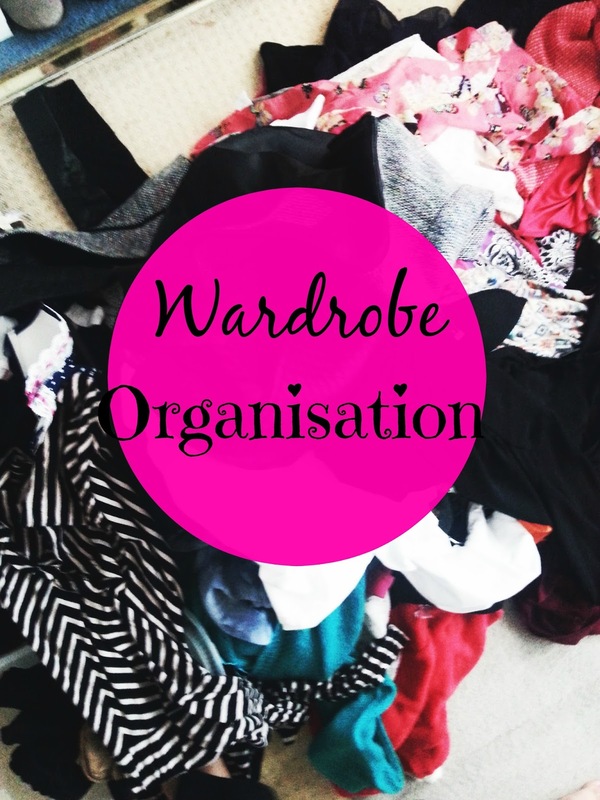 Have you re-arranged your clothes recently?